Mayonnaise - Delicious and creamy, Kraft Mayonnaise has a delectable taste that will elevate your meals from ordinary to extraordinary. Made from high quality ingredients, this rich and velvety condiment has a powerful taste you're sure to love. 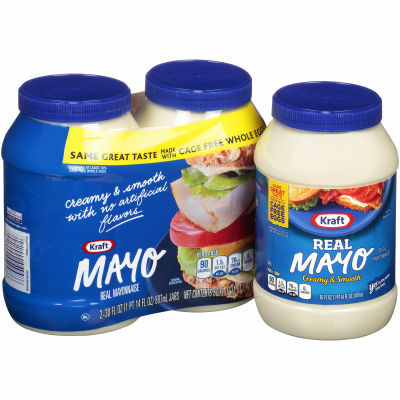 An Essential Condiment - Made to complement your meal, Kraft Mayonnaise has a flavorful taste the whole family will enjoy. Try this delicious condiment on potato salad, sandwiches, burgers or fries, and wake your taste buds up.